"We're definitely at the point where something's gotta give"
With a CV that includes Crystal Dynamics, Naughty Dog and now Electronic Arts, Amy Hennig has worked in AAA console development for more than 20 years. But reaching that cutting-edge and staying there demands significant personal sacrifice, and Hennig believes the AAA industry has reached the point where, "something's gotta give." In a long and fascinating interview with Idle Thumbs' Designer Notes podcast, Hennig described the darker aspects of what has otherwise been a glittering career. many think of crunch as a declining problem in the industry, but Hennig's recollections are as recent as Uncharted 3 at Naughty Dog, which launched in 2011. "I pretty much worked seven days a week, at least 12 hours a day"
"[Uncharted] 3 was hard, because even though we had two years again, it was two years after two projects that were a crunch," she said, referring to the project's development cycle. "And it was a time when we were also trying to grow the studio and split into two teams, and deal with all of the recruitment issues that went into that. And try to figure out what to do in the face of the success of the second game, and still only have two years with all those challenges. It was a tough one." 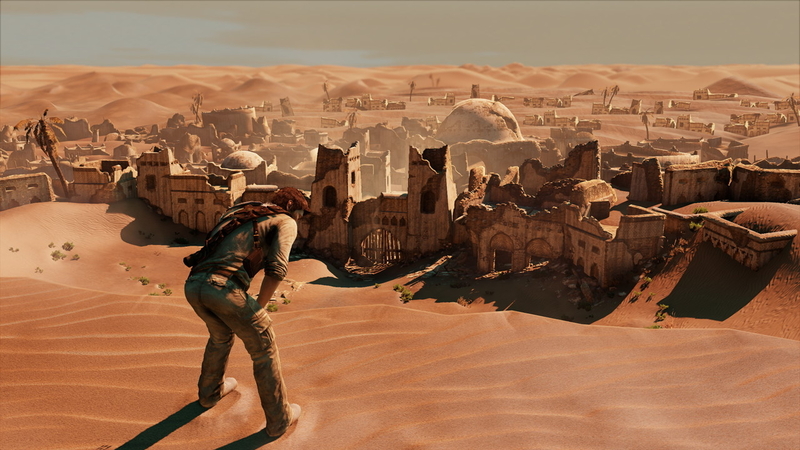 While not every factor that Hennig mentioned were essential to making Uncharted 3, the need to grow and expand while still meeting a rigid production schedule will be familiar to many AAA console studios. In addition to this, Hennig said, generating new ideas becomes more difficult with each new game, and each new game brings more scrutiny from an ever growing number of opinionated "stakeholders." As a director, and therefore one of the most senior members on the team, Hennig recalled still working on the previous game - "y'know, bug fixing or whatever, writing the strategy guide" - when others were returning from their vacations, "all refreshed and ready to go." When Soren Johnson, the designer of Offworld Trading Company and the host of the podcast, asked Hennig how difficult AAA development was on a personal level, Hennig replied, "Really hard. The whole time I was at Naughty Dog - ten-and-a-half years - I probably, on average, I don't know if I ever worked less than 80 hours a week. There were exceptions where it was like, 'Okay, let's take a couple of days off,' but I pretty much worked seven days a week, at least 12 hours a day." "We have to get our act figured out as an industry, and the problem is that the ante keeps getting upped"
And the seven-day working schedule wasn't limited to people on Hennig's level. Johnson posited that weekend work wasn't generally the same, and asked how much of Naughty Dog's team would be present. "A lot of it," Hennig replied. "I mean, Naughty Dog is pretty notorious for the amount of crunch, but obviously in a leadership role you try and do even more." This is particularly revealing given that, in an interview earlier this year, Uncharted 4 director Neil Druckmann said that crunch partially informed the themes at the heart of the game. Last year, an IGDA survey showed that increased awareness of crunch as an issue hadn't prevented two-thirds of developers from working under those conditions. While Hennig admitted that she wouldn't change anything that meant she hadn't made games like the Uncharted series, she admitted to having a clearer view of the issue when looking at the experiences of other people. When asked if making AAA games was worth the lifestyle that goes along with it, she replied, "I don't think so." "There's people who never go home and see their families. They have children who are growing up without seeing them," she said. "I didn't have my own kids. I chose my career in lots of ways, and I could be single-minded like that. When I was making sacrifices, did it affect my family? Yes, but it was primarily affecting me and I could make that choice. But when I look at other people... I mean, my health really declined, and I had to take care of myself, because it was, like, bad. And there were people who, y'know, collapsed, or had to go and check themselves in somewhere when one of these games were done. Or they got divorced. That's not okay, any of that. None of this is worth that. "There's people who never go home and see their families. They have children who are growing up without seeing them"
"We have to get our act figured out as an industry, and the problem is that the ante keeps getting upped... It's an arms race that is unwinnable and is destroying people." Nevertheless, Hennig's passion for her work and love for the medium is clear. The question, then, is: "How can we still make games like this in a way that is sane and responsible and ethical? Because we're not doing it right now." On that front Johnson and Hennig did not arrive at any simple answers. Indeed, their conversation highlights the complicated web of factors that make the escalating ambition and scale of AAA console development seem inexorable: consumer desire for games that push the limits of technology, publishing executives focusing on quarterly financial results, and a developer culture that still venerates Metacritic scores, awards, and even the number of hours worked. "Are you willing to go longer?" Hennig asked, referring to the dev cycle on a AAA game. "Trying to finish a game like that [Uncharted 3] in two years is insane, especially when you're saying that the two years is everything: pre-production, production, go... Time is a huge one, but then everyone is racing with cost versus time. So could we do it with smaller teams longer? Sure, but then we tend to throw people at these things and burn money fast... We've all seen games that took too long and they kinda got lapped." The trajectory of AAA console games, Hennig said, is, "to be all things to everyone." However, at a time when new distribution and pricing models have given rise to so much change and renewal, the world in which she works has largely stuck with the same price-point and the same drive for upping the ante. "Uncharted 1; a ten-hour game, no other modes... you can't make a game like that any more"
"We're definitely at the point where something's gotta give... And my hope was that different means of distribution, the fact that everything wasn't bricks-and-mortar and in a box, it would be that. And I think in some quarters that's true, but I think for AAA development we're still stuck in that rut, and the ante keeps getting upped. "I mean, Uncharted 1; a ten-hour game, no other modes... you can't make a game like that any more." Amy Hennig's interview with Designer Notes is in two parts, both of which are full of insight into her career, game design, and the industry as a whole. You can find them here. I thought it was the case that working these kind of 80+ hour weeks constantly was actually LESS productive than a balanced work-life routine that continually has your staff refreshed and not making mistakes. Why do companies continue to do this when it's not worth it even in the short-run? Sure you crunch. Then you get to take weeks, months, even years off after the project ends. Taking months or years off after a project ends... pretty sure that has never actually happened. Maybe by one or 2 senior members on a team but games aren't made by 1 or 2 senior members. Tyler - it's because it's so counterintuitive. When facing a deadline, it's just *obvious* that more hours will get more done. Hours are easy to measure. What is hard to measure, particularly in a creative industry, is the quality/amount of work produced per hour, and it's that which degrades fast during crunch. Tim - the project-based business model means staff stop getting paid while they take those weeks/months/years off. Not many can afford that. But even so, you're basically arguing for short bursts of unsustainable effort, mitigated by periods of recuperation. How is that any better than doing a sustainable working week in the first place? Of course, it's better for the employer because they can hire fresh staff for every project and burn them out. Can't say I'm a fan of that particular business strategy though. Tyler - thats what the research says. Experience has shown me it's especially true for programmers, long hours lead to fatigue, not taking the time to design code before implementing and those weak foundations get built upon until you can't realistically fix them. They're also usually a sign of management that doesn't see the value in preparation time and is solely focused on checking off the next client visible task. The trouble is that crunch does work for brief periods, a few weeks at a time. Knowing that, when productivity declines (due to extended crunching) the schedule is even further behind - so its time to put in more hours. The more you crunch the further behind you slip, the more you feel the need to crunch to get back on track. It takes a while to recover from the consequences of long term long hours too, so the benefits of switching back to sensible hours won't be immediately apparent, and it never feels as though you can afford to take the short term hit in progress. Even managers who have bothered to do the research into the effects on productivity tend to slip into this catch 22 after the first few crunches (which are inevitable because some deadlines can't be missed). The other issue is it's easier in a management or lead role to work longer hours - with the variety in responsibilities you don't burn out quite so quickly as you do in a job with less diversity in responsibilities. But when you're pulling those long hours it's often easy to expect others to also work them. RE: On the "40$" price point. The problem is that there is still a huge psychological barrier to selling at anything other than 60$ on retail channels. Getting shelf space at any other price point is a big challenge, and there is a real, tangible revenue gap between digital-only and retail games. This 'arms-race' used to impact independent developers all the way through the last decade, until they all dropped like flies, got bought by publishers, or successfully navigated their large, retail teams towards smaller digital-only teams. So; I don't know that the solution is as simple as saying you're going to drop the price and make a smaller game. I don't think it scales linearly at all. You can't make Uncharted 1 any more because it would churn at retail. All these extra modes we started throwing in and the eventual shift to multiplayer for EVERYTHING (including Uncharted which in no way, shape or form EVER needed a multiplayer aspect) was a direct result of resell and churn. Making games cheaper at retail will NOT boost sales, indeed it has an adverse effect of people wondering why it's "bargain priced" (see THQ's last MX release). Cost of production has risen tenfold since the PS1 was introduced, the price of games has stayed static. Our market size has grown marginally, but basically hovers around 100m at the best of times. Shifting to digital only isn't going to change much, the publisher still sees 30% given to its distribution partner so the margins don't demonstrably change in any significant manner. It WOULD allow for single player, shorter games to be revitalized though, and indeed we see that in the independent channel. But for the big Publishers it's a billion or bust bet on each game now, so I don't expect to see a return to it at AAA levels any time soon. Meanwhile on the PC side of things, we have seen the emergence of games that do not want to coexist with other games, but instead take every measure so the consumer is just playing that one game and no other, all while being repeatedly monetized by whatever means fit the trend. Uncharted is charmingly retro by having an ending screen, instead of just using the story as an early game hook to condition the player to endless grinds and loot cycles sprinkled with microtransactions. Say what you want about the billion Dollar games, the revenue leaders, but hardly any of them is much about the story. Rest in peace 10h single player game, you had a great run.